The Eagles will face either Drew Brees and the New Orleans Saints or Case Keenum and the Minnesota Vikings next Sunday for the right to go to the Super Bowl. The Philadelphia Eagles and New England Patriots won their playoff games on Saturday, and as the No. 1 seeds in their respective conferences, they'll both get to sit back and watch Sunday's games to see who they'll play at home in the conference championship round of the playoffs next week. The first matchup of the day will be in the AFC, as the No. 2 seed Pittsburgh Steelers will host the No. 3 seed Jacksonville Jaguars. That game will kick off at 1:05 p.m. The Steelers are 7-point favorites. The second matchup will be the No. 2 seed Minnesota Vikings hosting the No. 4 seed New Orleans Saints, at 4:40 p.m. That game will have greater significance to the Eagles, as they will face the winner next Sunday at 6:40 p.m. for the right to represent the NFC in the Super Bowl. The Vikings are favored by 5.5 points. 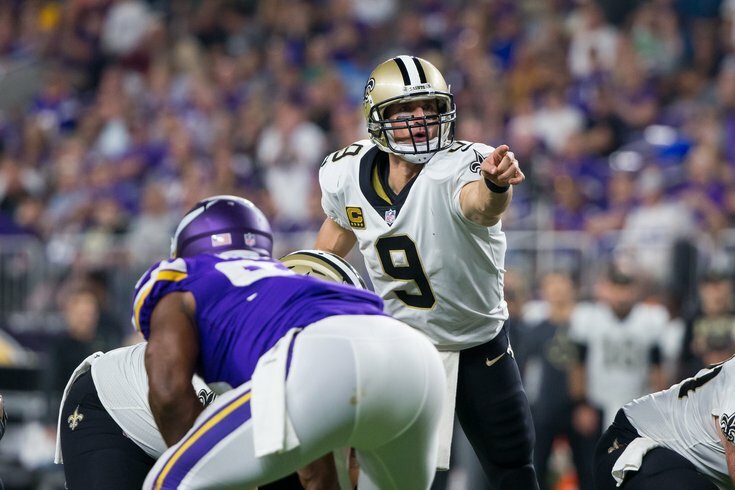 For the gambling degenerates, you can find my divisional round picks here. Feel free to discuss the games below.